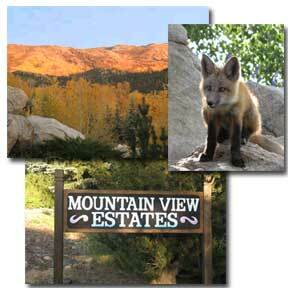 Mountain View Estates is a quiet community with abundant wildlife and dense forests nestled north of Fish Creek in the foothills above downtown Steamboat Springs. First homesteaded by Horace S. Crosby in 1911, it wasn't until 1977 that Robert Hamilton platted Mountain View Estates into 130 residential sites. Homeowners enjoy commanding views of Emerald Mountain, the Flattop Mountains, the South Yampa Valley, as well as Mount Werner and the Steamboat Ski Area. We are in close proximity to downtown Steamboat as well as all the recreational amenities that Routt County offers.